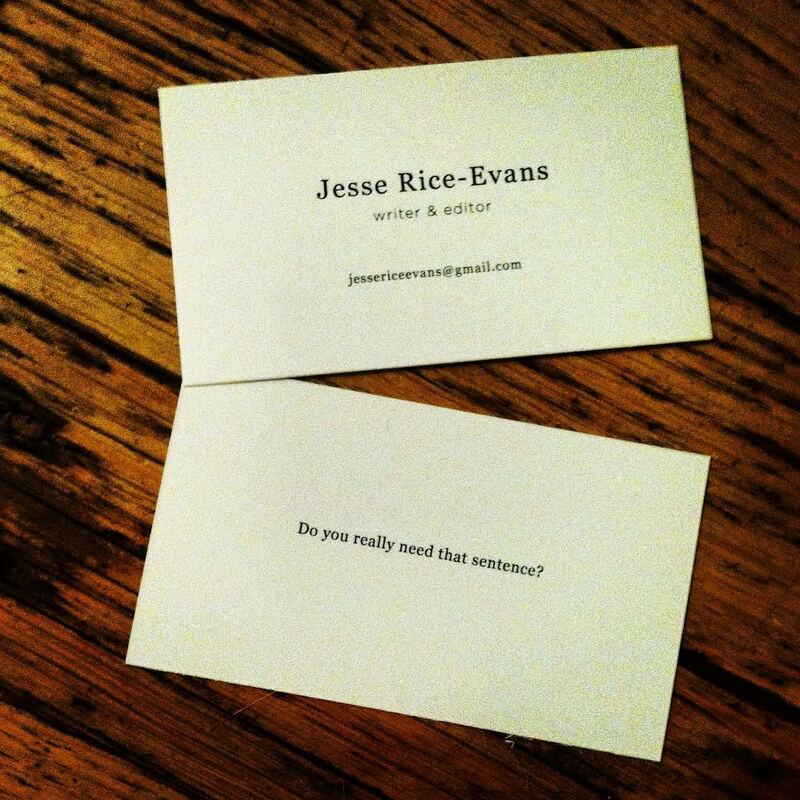 I’ve been wanting business cards for such a long time. I never felt quite right making them myself–I’m such a big supporter of graphic designers and artists, I felt like designing my own cards was sacrilege. Enter my cool coworker McKenna, who designed these groovy business cards for me. She’s got such a clean aesthetic, and she’s as into Georgia (the font–not the state) as I am! Check out her cute website here. Yum. And for my writing clients, you’ll recognize the quote as possibly my favorite thing to say in sessions to drive you to the brink of insanity. You love it. I’ve never been a joiner. For someone deeply into so many cultural things–film, veganism, games, feminism, natural healing, poetics–I have just never found a clear-cut group with which I identify. The closest I have ever come to this was–weirdly–in my hometown, when I was still in high school. While most of my close friends were very different from me in terms of interests, we all balanced one another out in a dynamic way. We glowed with energy: debates blossomed, flamed, and receded; we could introduce each other to things we loved: designers, artists, filmmakers, music, novels. I have often wondered if this was because every one of us were artists in some fashion or another–or if we were just immensely lucky to have the kind of chemical rapport that we did. It came naturally as breathing. In years past, I have lamented the loss of this space. Friends moved far away or dropped out of contact, busy with relationships or drowning in work. I myself got into less-than-savory activities and lost focus on my writing and the relationships that mattered to me. My communities began to revolve around parties, substances, and shutting out unpleasantness rather than inviting intellectualism and art in. Now, so physically far removed from any of the communities that I worked to create and maintain, I am realizing that my disinterest in joining may actually be a gift–alongside with the difficulties of being unaffiliated, I have the space to move free and fluid within and without spaces of my choosing. I am not betraying a group by taking space away from it–I am in flux. Part of me yearns to join the clique at my job–to dye my hair and drink tall boys of Rainier on the beach taking selfies; part of me wants an MFA–an insular group of sheltered creatives shuffling towards meaning; other parts want vegan friends–white yipsters bleating about local foods. But these parts of me clash. What I really want is curious and critical friends of many persuasions–and I am very lucky to have somehow made that happen. I didn’t join a pre-established community; I have always worked to create my own, sometimes to flourishing success, and often to shrieking failure. I am proud of the time I have spent creating space for myself. I am more proud of my active role in my own communities than I would be defaulting into a crowd. Sometimes I am lonely; sometimes I feel alienated. But I am always capable. A great new essay by Rachel Wilkinson on late-stage capitalism, activism & academia, and family. Custerism A Manifesto of Doubt – Identity Theory. Excited to continue churning out fabulous releases from talented writers. Y’all make editing a thrilling gig. I’m fleshing out the skeleton of an essay chronicling my complex relationship with yoga, and, peripherally, with non-western healing in general. Topics include Orientalism, embodiment, social business models, capitalism. The usual. Humbled and stoked to have a quote pulled in an Autostraddle review of GRITS. Perhaps equally stoked to find out about this review through Twitter mentions. Read A F*cking Book: ‘G.R.I.T.S.’ Is So Much More Than Food | Autostraddle. molly moon’s homemade blog: One scoop at a time – Eric & Jesse. Oops accidentally went on a rant about nondirective tutoring pedagogy on the work blog.